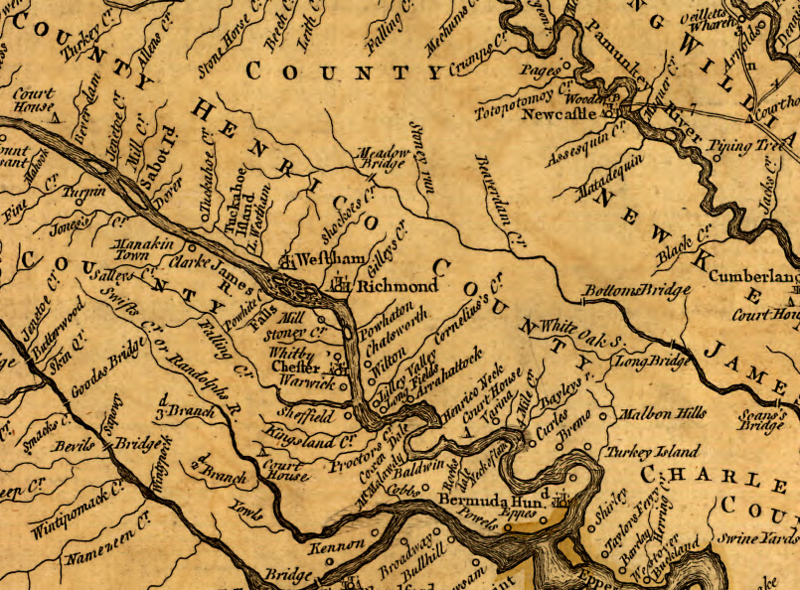 Henrico, one of the oldest counties in the state, is named after a Prince of Wales who never became king of England. James I was on the throne when the Susan Constant, GodSpeed, and Discovery sighted land on April 6, 1607. The ships sailed into the Chesapeake Bay between two points of land, which were quickly named Cape Henry and Cape Charles after the two sons of King James I. James and his daughter Elizabeth got rivers named after them, but the queen was left off the map. - All English residents of the City of Henricus and its university (chartered in 1619, the first in the New World) were killed in the 1622 uprising of the native Americans. - The future Henry's never came close to becoming King of England. Charles I named his third son Henry, but the oldest son was on the throne as Charles II when this Henry died. James II, the next King of England, was deposed during the Glorious Revolution of William and Mary. His son, James, named his two children Charles and Henry. Charles became romanticized as "Bonnie Prince Charlie" after he failed to seize the throne in a 1745 rebellion based in Scotland. Henry then settled for becoming the Cardinal of York (Catholic, incidentally) instead of Henry IX, and the Stuart claim to the throne evaporated.